Dog Head Tilt - May It Be Due to Vestibular Disease in Dogs? 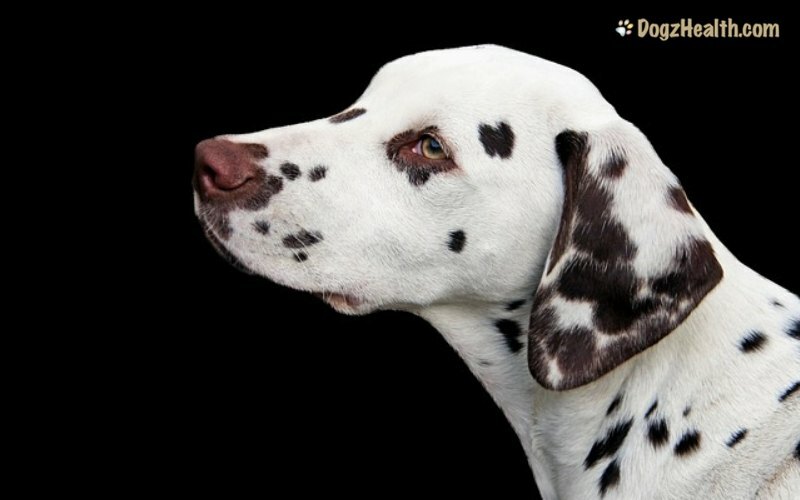 Dog head tilt is a symptom of health problems commonly related to the middle or inner ear, such as ear infections, or vestibular disease in dogs. This page looks at some of the possible causes of head tilting in dogs. A dog may look cute if he tilts his head slightly when he is curious or when he wants something, but a permanent head tilt is an illness symptom that calls for attention and appropriate treatment of the underlying health problem. A dog head tilt is defined as a persistent turn of the dog’s head to one side of his body, away from his orientation with the trunk and limbs. But why does a dog tilt his head? A head tilt means that the dog feels imbalanced and seems to be trying to prevent himself from falling, or struggling to retain a balanced posture. A dog tilting his head usually shows that there is a problem of the vestibular system, which is a sensory system located in the inner ear. The vestibular system synchronizes eye movements and maintains posture, balance, and coordination. The system gives the body information about its orientation in relation to earth. For example, whether the body is moving or being still, or whether it is upright or up-side-down, and so on. What causes a dog to tilt his head? Let’s take a look. What Causes a Dog To Tilt His Head? Head tilting is frequently caused by some kind of problems in the middle or inner ear. These problems affect the vestibular system, resulting in head tilting in dogs. If you notice that your dog has a persistent head tilt, the first thing to do is to check his ears for infection or mites, and to see if there are any foreign objects such as grass seeds caught in the ear. If the ears look healthy and normal, you need to look for other symptoms associated with the head tilt. Note down the symptoms and tell your vet to help him make a diagnosis. Head tilting may also be caused by a condition called idiopathic vestibular syndrome, which is a disease of unknown cause (idiopathic). 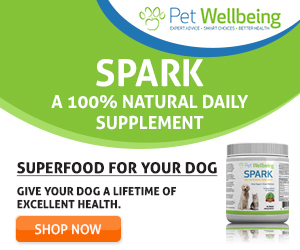 This usually affects middle-aged to older dogs (mean age 12.5 years). The onset is sudden and the dog shows symptoms of head tilting, staggering and stumbling, erratic eye movements, and sometimes vomiting. At times, some such symptoms can be serious and incapacitating. Signs peak in 24 hours and most dogs improve spontaneously within 2 weeks, although some dogs may have a slight but permanent head tilt. 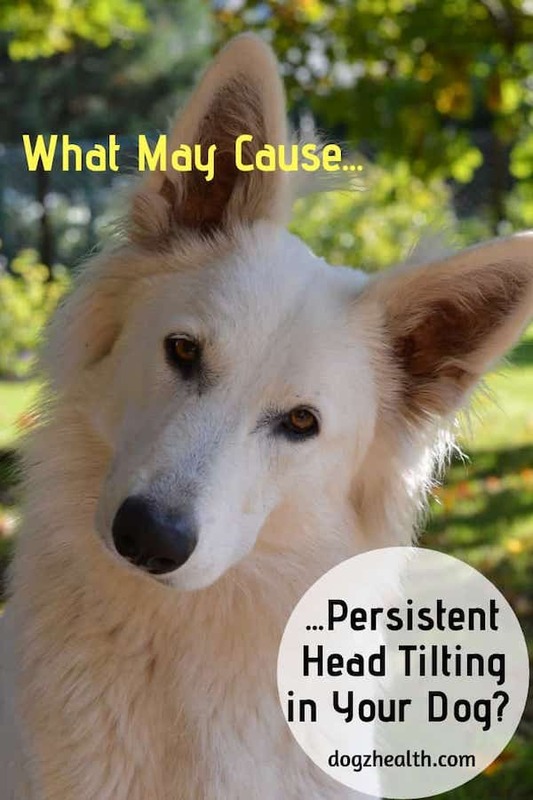 As you can see from above, a head tilt can be a symptom of a potentially serious health problem, so be sure to see your vet to find out the underlying cause of the head tilt. How Can You Treat Head Tilting in Dogs? Treatment of head tilting naturally depends on the underlying cause. For example, if the head tilting is caused by an ear infection, antibiotics will be used to treat the infection to prevent bacteria from affecting the brain and middle ear. The tilting usually subsides once the underlying cause is diagnosed and treated. In the meanwhile, supportive care and treatment will be given to the dog to ease the symptoms. For example, if the dog vomits excessively, make sure that he drinks enough water to stay hydrated. Sometimes, the dog doesn’t even want to drink water because of the dizziness. In such a case, fluid therapy is needed. In addition, anti-vertigo medication may be prescribed to stop the dizziness. Sometimes, a vet may also prescribe antibiotics to eradicate bacteria that may have caused an infection inside the ear. While your dog is recovering, you may need to give him some assistance around the house. For instance, if your dog is falling or rolling, protect him from objects such as furniture and stairs. Also you may need to help your dog when he is walking around the house. Do not allow your dog to go up and down the stairs if he is dizzy. You may need to carry him up and down the stairs for a few days!